Ben Mezrich takes us on an exhilarating true adventure story from the icy terrain of Siberia to the cutting-edge genetic labs of Harvard University. A group of young scientists, under the guidance of Dr. George Church, the most brilliant geneticist of our time, works to make fantasy reality by sequencing the DNA of a frozen woolly mammoth harvested from above the Arctic Circle and splicing elements of that sequence into the DNA of a modern elephant. 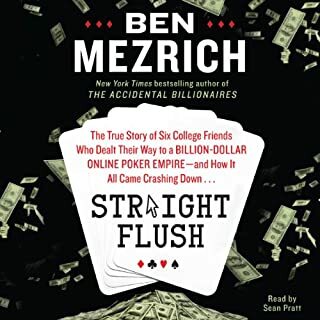 Following in the tradition of Liar’s Poker, Ben Mezrich’s Rigged delivers a no-holds-barred journalistic exposé of Wall Street bravado. However, where Michael Lewis’ seminal work painted a largely bleak portrait of Wall Street largesse, Mezrich’s financial visionary - Ivy League prodigy David Russo - is presented in a more varied light. 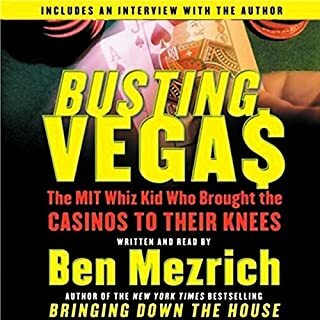 Mezrich doesn’t mince words depicting the heedless, competitive machismo that belies finance culture, as he follows Russo’s exploits through luxuriant Dubai resorts and private yachts staffed by half-naked escorts. Nevertheless, Russo is given due credit for his instrumental role as a cofounder of the Dubai Mercantile Exchange. Performing his own work, Mezrich is fluid, straightforward, and objective, concealing whatever political or economic biases that might occasionally slip through his text. This ordinary kid has traded Brooklyn for the gold-lined hotel palaces of Dubai. He keeps company on the decks of private yachts in Monte Carlo, teeming with half-naked girls flown in by Saudi sheiks, and makes deals in the dangerous back alleys of Beijing. But the Merc is just a starting place. Taken under the wing of another young gun and partnering with a mysterious young Muslim, the kid embarks on a dangerous adventure to revolutionize the oil trading industry: and, along with it, the world. Rigged is the explicit, exclusive, true story behind the headlines that dominate the world stage. 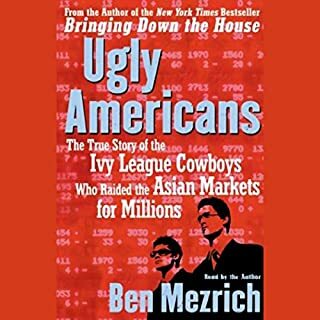 I have read all of Mezrich's non-fiction, and this is another along the same lines as Ugly Americans, BDTH etc and is an interesting listen. 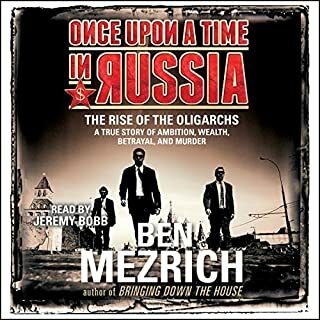 I would probably review the book higher than the audio version though - Mezrich reads this like he is rereading it to himself to make sure everything makes sense (or maybe he is rushing through it). I think the book would be better served by a professional narrator. It is worth buying though, and I look forward to more of the same from one of my favorite authors. Slow moving, manufactured drama, and often prose that is straight out of a junior college fiction writing course. Never realized are constant expectations that something big is about to happen. It never does. By the way, the title indicates only a subject of "oil". There is no exchange malfeasance here. Many things that could be interesting are never explained. Descriptions of the traders and action in the pits on the NYMEX are interesting but much too brief. 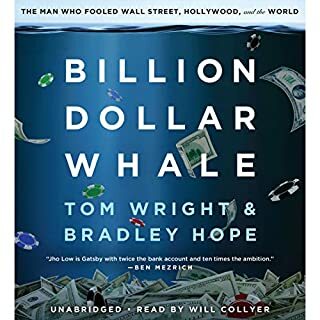 Really, it's a simple story about how a commodities exchange got started in Dubai, certainly unusual but so are hundreds of other business deals that happen every year. The book just hypes up the action with banal treatments of beautiful women ("porcelain features", I was waiting for "heaving breasts" but luckily spared that one), private jets with paper shredders (wow), BMW limos (six of them! ), champagne (Cristal no less! ), mysterious photographs (oooh, someone's watching!!). With the exception of the traders' description and the Dubai description, just kind of silly. I have worked on trading floors before and have even traded NYMEX and I found this book kind of boring. Would prob be of more interest to someone who is clueless about the rise of Dubai as business and tourism hub or the fraternity like mentality and behavior of a trading floor. This book held my attention but I kept waiting for something more. This book was so far fetched and the author took hyperbole to a new level in what he deems were facts in this guy's life. The author would blatantly just make up dialogue that he supposed took place and used an extremely wild imagination in filling in other aspects of the story where he clearly was only being fed third hand sources. 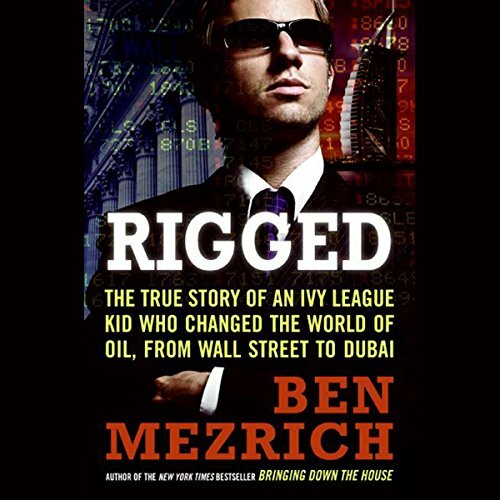 The title way over plays this kids role, and the entire book acts as if this guy pretty much orchestrated the entire Dubai Exchange single handedly. Pure fiction. Fiction would be OK if it was at least a good story, but this story was not interesting at all. 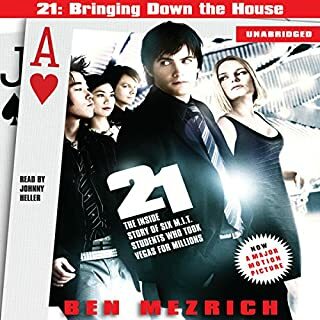 I loved 21 and was so disappointed by this book. If author had done his homework and found the real relationship between Restin and Viola then that would be a story!!! I really like this author and have listened to Ugly Americans (one of my favorites) and Busting Vegas (another favorite). This book is less complex and doesn't reach the depth of the two books mentioned above. Nevertheless, it is an entertaining book, very well read, and I recommend it. torturous description of ridiculous details,not worth listening to.